Rain barrels make a great addition to your yard for many reasons. First, they aid in the conservation of fresh water. Second, they reduce the amount of stormwater runoff generated by rain events. Have you ever thought about how much land is covered by roofs? Roofs increase the amount of impervious surfaces, those that water cannot pass through, therefore creating more runoff. The first few minutes of a rainfall event are the most polluting, producing a deluge of stormwater that runs along impervious surfaces, such as roadways, roofs, and driveways, collecting fertilizers, car oil, grass clippings and pet waste, before making its way into the IRL. Within the first inch of rainfall, a 100-square-foot roof will produce 60 gallons of water! 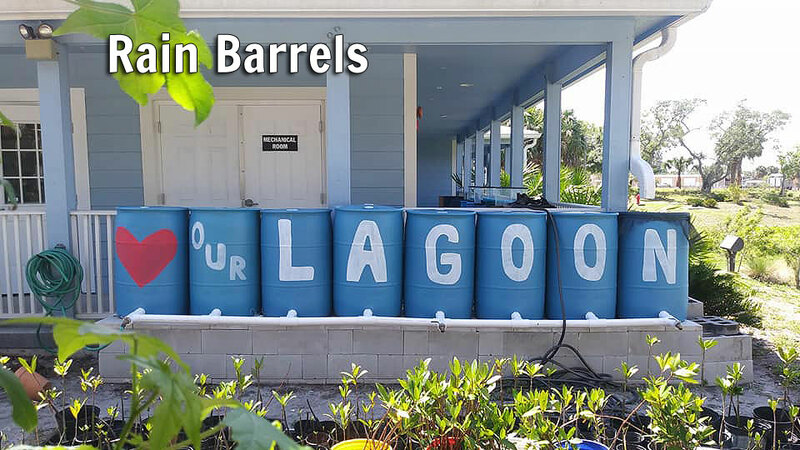 Rain barrels can help cut down on the amount of water available to pick up pollution. For upcoming educational Rain Barrel Workshop event information please visit the calendar, follow MRC on Facebook, or sign up for the Marine Resources Council’s e-newsletter for updates.